Steven Isserlis' rich and muscular sound, combined with interpretive passion and sensitivity, has made him one of the world's preeminent cellists. Pianist and conductor Robert Levin has held a post at Harvard for twenty-five years, where a prize for outstanding musicianship bears his name. As a performer, he is particularly known for his imaginative cadenzas. The two musicians first played Beethoven's cello sonatas together in 2004, the beginning of an inspiring collaboration. "Isserlis' playing always has spirit to spare. But the fortepiano ensures an even fresher sense of discovery to his cello odyssey," The Guardian declares. 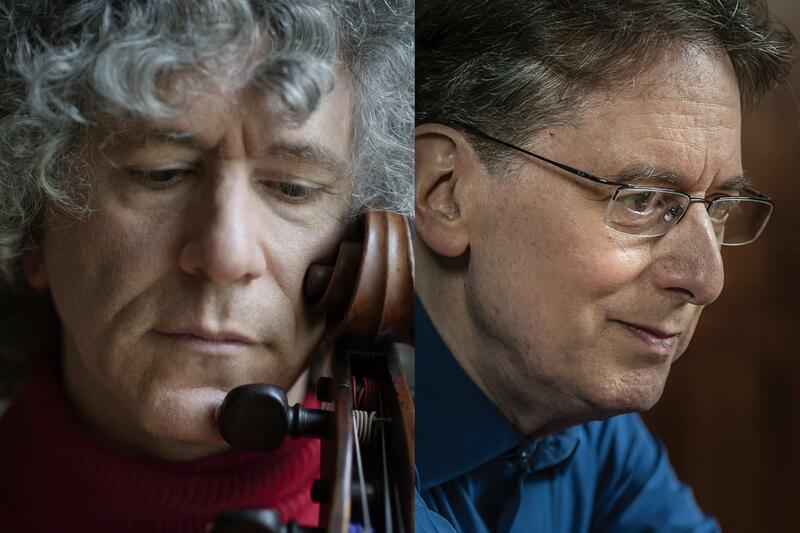 In Durham, Isserlis and Levin perform three Beethoven sonatas and a set of variations. They begin with the first of the five, Sonata No. 1 in F Major, in which the fortepiano is equal partners with the cello, which itself from time to time flies into the high registers. They continue with the last of the five, No. 5 in D Major - concise, concentrated, and rich. They then interject a much lighter moment, the delightful set of variations Beethoven wrote on the birdcatcher Papageno's aria from Mozart's The Magic Flute. The program concludes with the grand Third Sonata, op. 69 in A Major, a fitting conclusion for this duo of perfectly matched musicians.